Handmade and deliciously tactile. It’s funny how small this world is, but I wouldn’t have known about this group, etsy Dallas, if it hadn’t been for a collaboration between my client, Katy Trail Animal Hospital, and Rhonda Warren, who specializes in custom design and letterpress paper goods. Without this coincidence, I wonder how long it would have been before I finally discovered this little pocket of wonders in my own backyard. About the Jingle Bash. 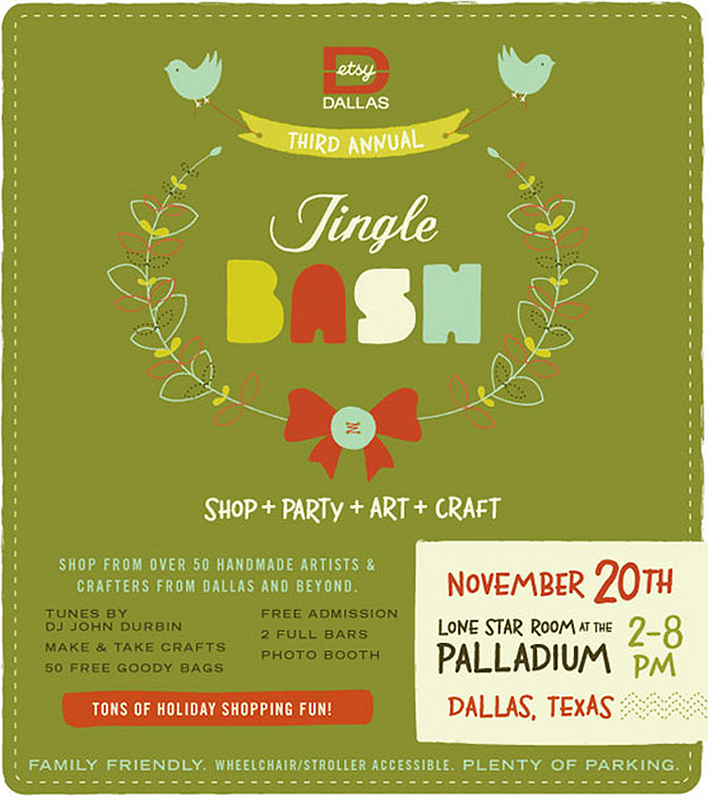 For the third year in a row, the Jingle Bash, Etsy Dallas’ handmade holiday shopping event, will offer up the very best in handmade apparel, bags, jewelry, home décor, accessories, art, pottery and more from over 50 hand-picked artists, crafters and designers. This year, the Jingle Bash will be held at The Palladium’s Lone Star Room (within the Gilley’s event complex just south of downtown Dallas at 1135 S. Lamar), a larger and more spacious venue than the former and beloved Sons of Hermann Hall. For more detailed information visit their website.